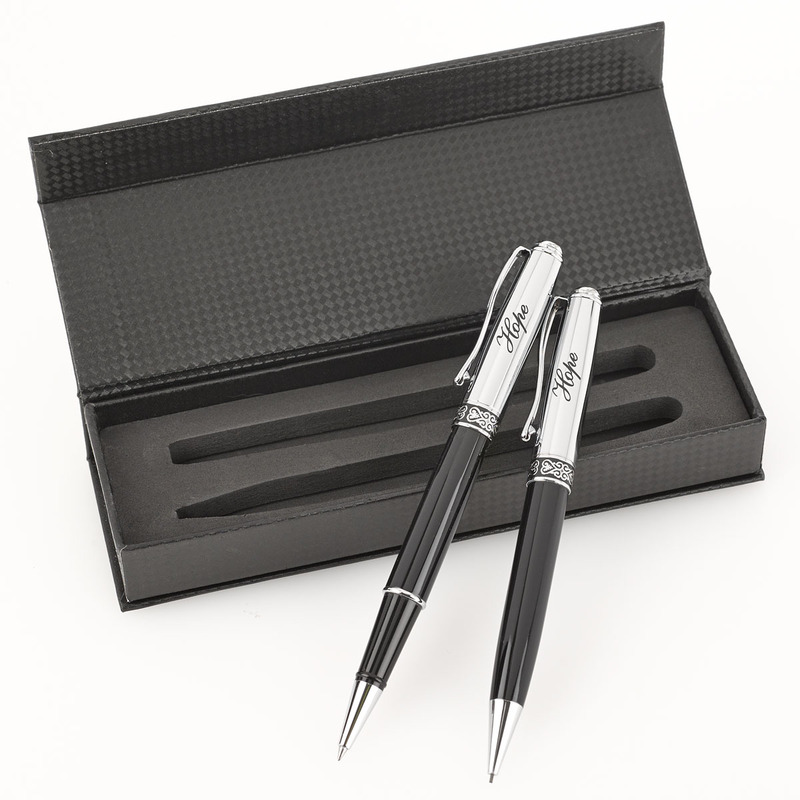 Elegant black and silvertone pen & pencil gift set with embossed filigree bands and "Hope" imprints. 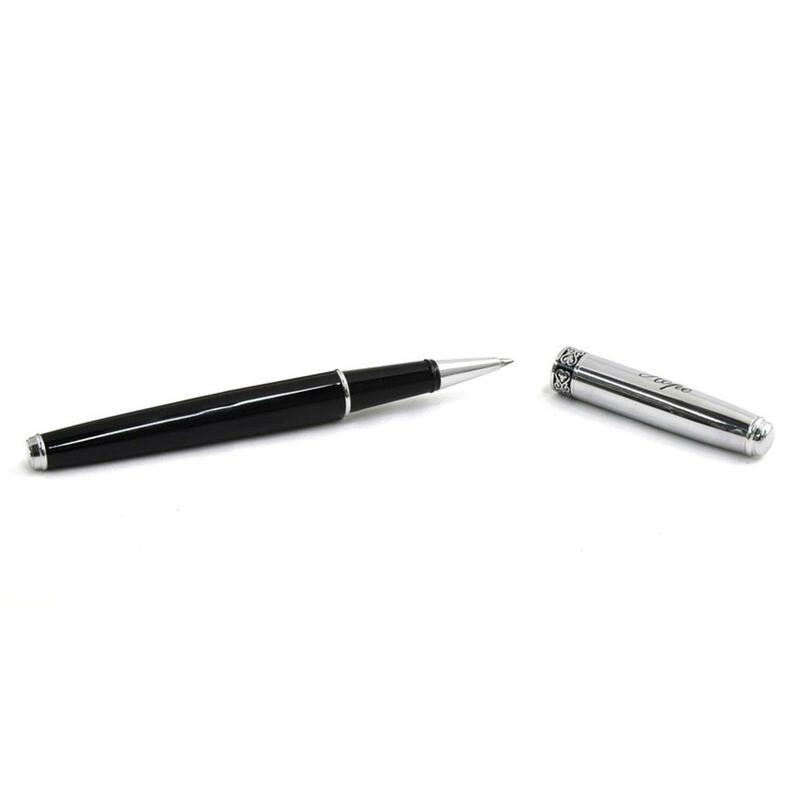 The pen writes a fine line like a cartridge fountain pen. The pencil has a twist mechanism. Both are refillable. Both have a nice weight and feel in your hand. 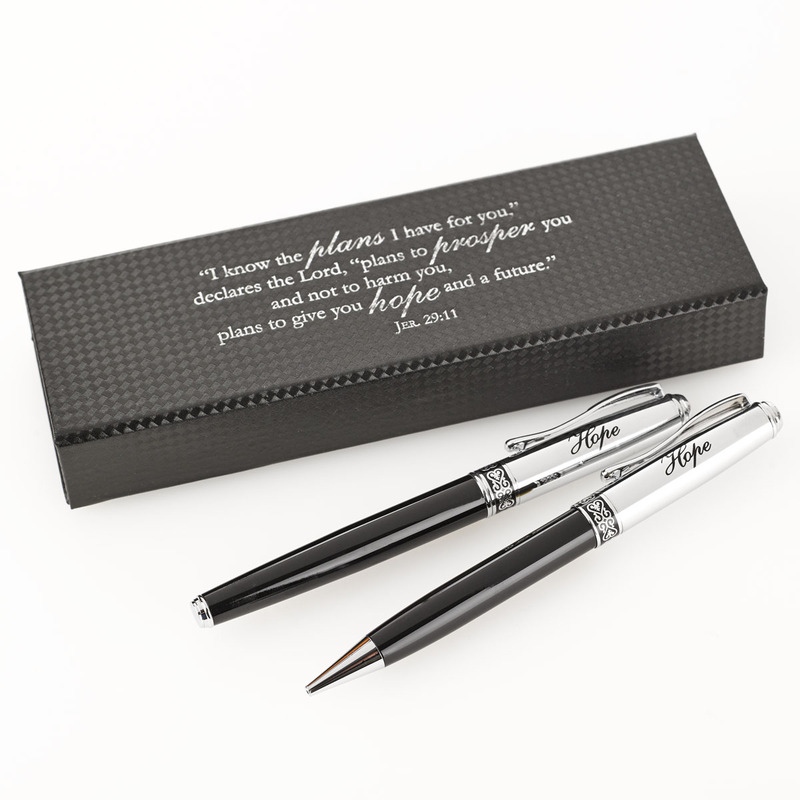 Classic Pen & Pencil Set - "Hope" Inscribed Barrel was published by Christian Art Gifts in January 2010 and is our 21643rd best seller. The ISBN for Classic Pen & Pencil Set - "Hope" Inscribed Barrel is 6006937110267. 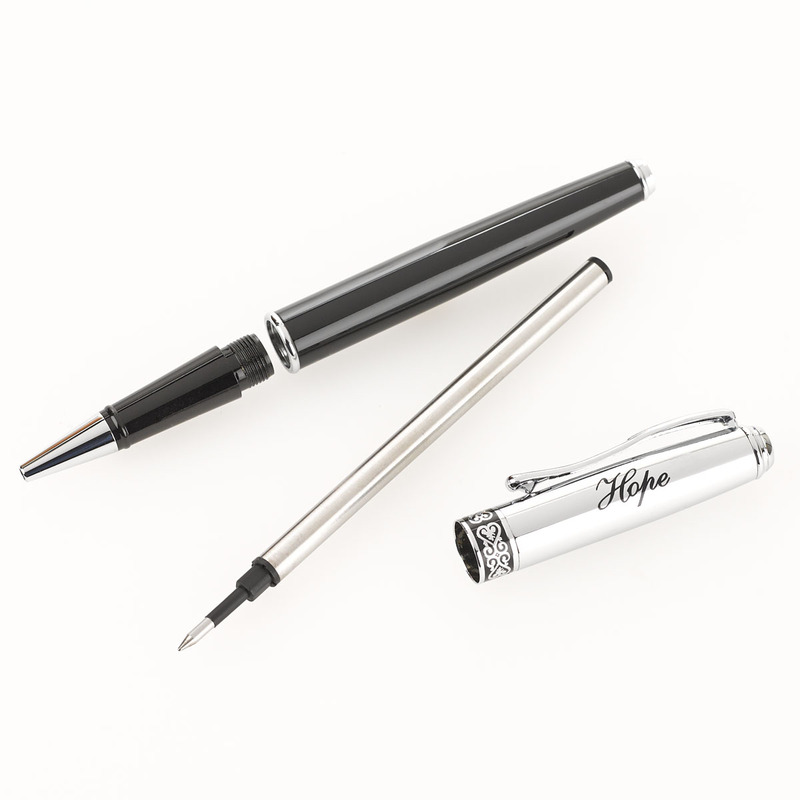 Be the first to review Classic Pen & Pencil Set - "Hope" Inscribed Barrel! Got a question? No problem! 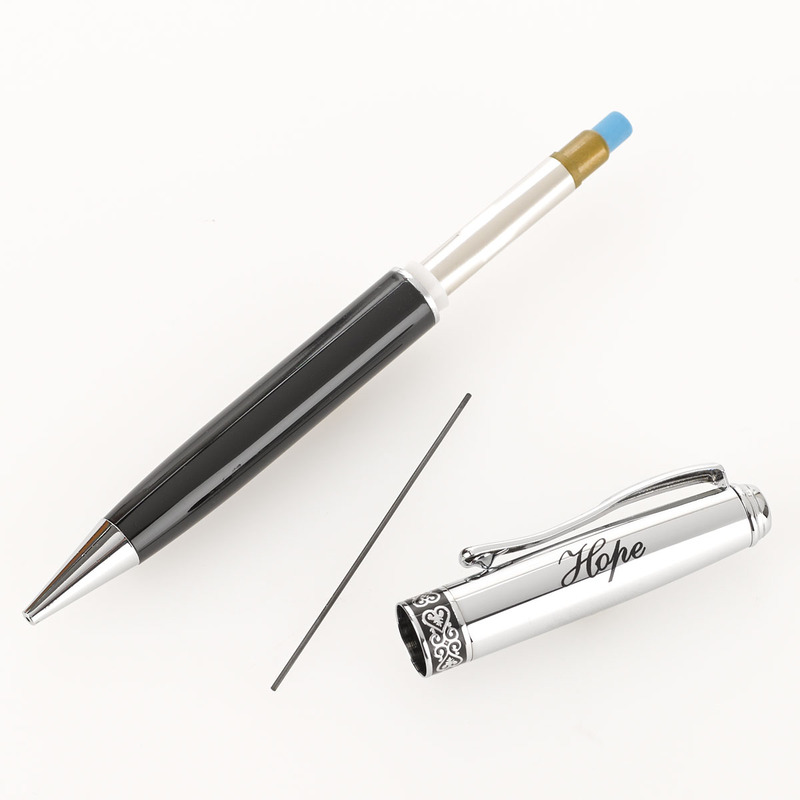 Just click here to ask us about Classic Pen & Pencil Set - "Hope" Inscribed Barrel.